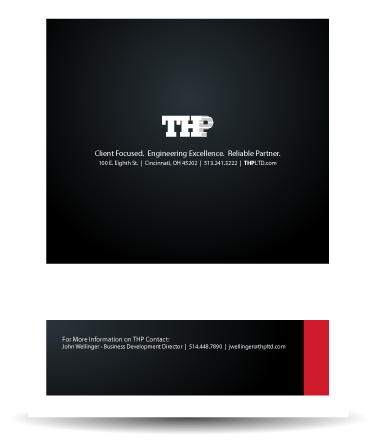 Primax studio was asked to create a marketing brochure for THP. 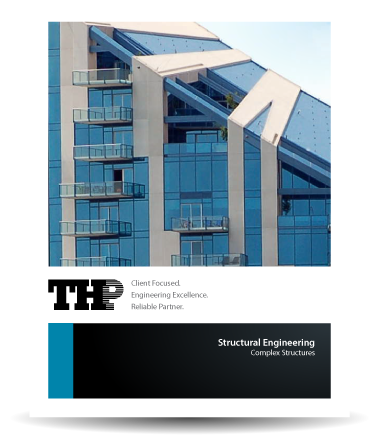 THP is a Cincinnati structural engineering firm established in 1973. 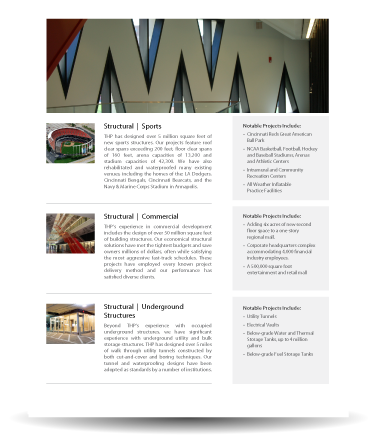 The brochure needed to emphasize their special abilities in large scale, complex structures, parking and restoration. 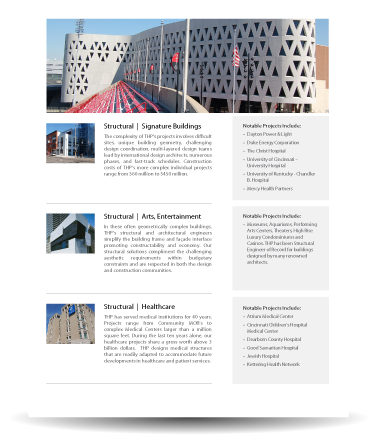 Primax Studio worked with THP to outline their marketing brochure objectives. 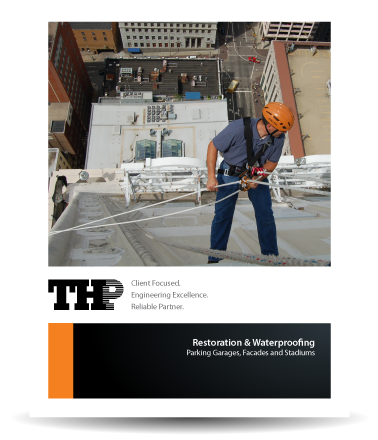 We worked directly with THP to find and match images that best portrayed their services to future clients. 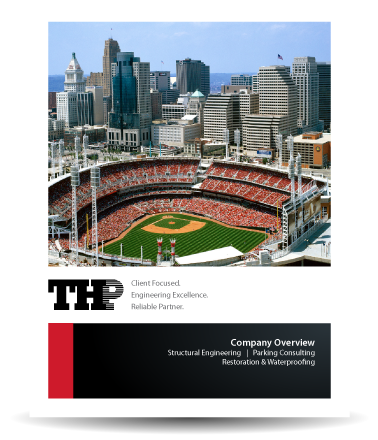 THP feels the marketing brochure is an integral part to all of their sales meetings.